What is cornering of shares in IPO market? 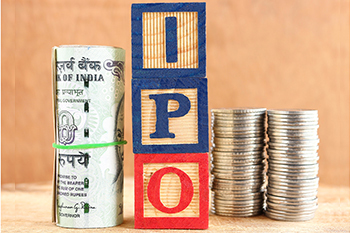 When a market intermediary or a group of investors purchase a substantial number of IPO shares to raise the price of the share, it is called as cornering of shares in the IPO market. When a market intermediary or a group of investors purchase a substantial number of IPO shares to raise the price of the share, it is called as cornering of shares in the IPO market. It is also done to raise the demand for the share in the market. The intermediary will manipulate the market to create a frenzied purchase of the IPO share. Cornering of shares is malpractice and is banned by Securities and Exchange Board of India (SEBI). The SEBI enforces penalty to the market intermediaries or the investors who engage in cornering of shares. If an investor wants to raise the price of an IPO’s share, he will start buying that particular share in huge numbers. This action will raise the price of shares, and this rising price will create a frenzy in the market, and more investors will rush to buy the share causing a surge in the price. Eventually, the investor will start selling the shares at an inflated price thereby gaining a substantial profit or the investor would perform the cornering for creating demand. Sometimes a company will also invite cornerstone investors who are the big investors in the market to hold the IPO shares for some time to raise public’s interest in purchasing the share or shaping the IPO’s reputation in the market. This cornering technique is common in Hong Kong Stock Exchange. The Indian stock exchange witnessed this happening a few years back. A market intermediary was levied a hefty penalty by SEBI for cornering the IPO shares of three famous companies. The intermediary was instructed to pay the penalty amount and the unlawful gain incurred from the cornering. In addition to the penalty, there was a proposal for a ban of three months for the defaulter. When a market intermediary involves itself in cornering, they beocme vulnerable if the market is aware of their identity. The market will start correcting itself when the shares’ inefficiency comes to notice. This will plummet the stock’s price and the intermediary will face heavy losses and will not be able to exit their investment due to lack of buyers. Cornering of IPO shares is malpractice and market intermediary’s and traders should refrain from this wrongdoing as it is punishable by law.